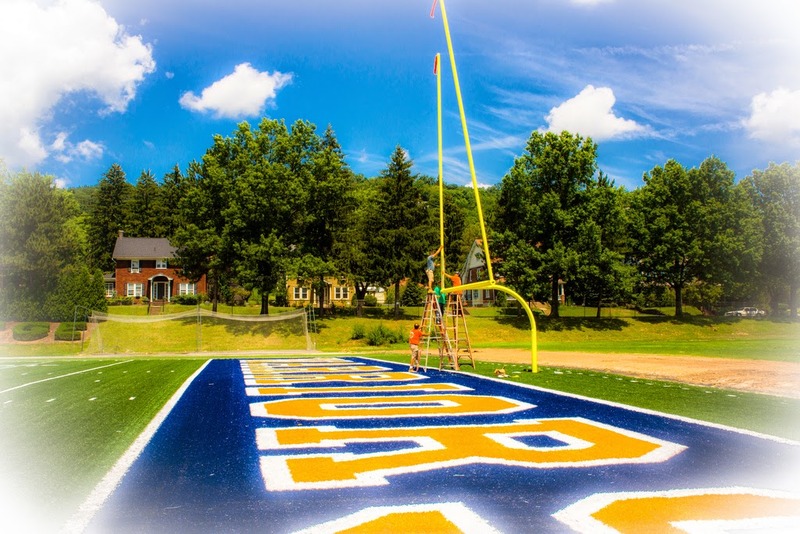 WILLIAMSPORT, Pa. – After claiming a portion of the program’s 15th Middle Atlantic Conference title in 2013, the Lycoming College football team has reloaded with a class of 55 incoming players, including 51 true freshmen and four transfers, which seventh-year head coach Mike Clark announced on Tuesday, July 22. Included in the class is offensive lineman Avery Baker (Severn, Md./Meade), who was an honorable mention all-state big school selection in Maryland. Several members of the recruiting class were mentioned in the Pennsylvania Football News Keystone Club, as running back Sam Dressler (Danville, Pa./Danville Area) ran for 1,287 yards, defensive back Johnathan Zedar (Dalton, Pa./Lackawanna Trail) scored 108 points, linebacker Dalton Yentsch (Hummelstown, Pa./Lower Dauphin) made 116 tackles, projected defensive back Erik Wagner (Warriors Mark, Pa./Tyrone Area) threw for 1, 506 yards and quarterback Nate Smith (Corry, Pa./Corry) threw for 1,199 yards in 2013. In 2012, wide receiver Corey Kriner (Montgomery, Pa./Meadowbrook Christian) made the club after posting 543 yards, wide receiver/kick returner Justin Pierre (Stroudsburg, Pa./Stroudsburg) racked up 333 yards in kick returns and running backs Dressler (1,270 yards) and Tyler Stratton (Hyde, Pa./Clearfield Area) (1,151 yards) also made the list. In total, the incoming class features four quarterbacks, nine running backs, one fullback, two tight ends, eight wide receivers and three offensive linemen. On the defensive side, the team welcomes 14 defensive backs, five linemen and seven linebackers. In addition, the team also welcomes two kickers and punters. The 2013 Warriors finished 7-3 overall and 7-2 in the MAC. The team claimed a share of the 15th MAC title in school history, tying for first with Lebanon Valley. The team was once again led by its defense, which finished tops in the MAC, allowing a league-best 304.0 yards, 91.4 rushing yards and 18.3 points per game. Christopher Boes, LB, Fr., 5-10, 200, West Milford, N.J./West Milford Twp. Dudly Ulysse, DL, Fr., 6-3, 200, Levittown, Pa./Bucks County Tech.